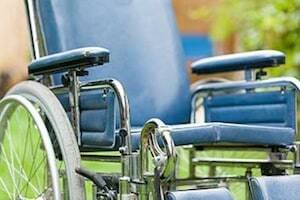 The Cambridge nursing home abuse and neglect attorneys of Nursing Home Law Center LLC care about the needs and rights of our elderly and seeking justice on their behalf whenever nursing centers fail to provide the attentive care that they deserve. Since many of the for profit nursing homes taking over the industry place a greater priority on profits than ensuring they provide the greatest quality of care possible, we have compiled a list of facilities known for their histories of cutting corners and ignoring the needs of their patients so that you can place your loved ones in homes that are willing to offer the attention and quality treatment they deserve. The federal government through Medicare collects information every month on all nursing facilities in Cambridge based on data gathered through investigations, surveys and inspections. Currently, the national database reveals that inspectors detected serious violations and deficiencies at thirty-seven (22%) of the 166 Cambridge nursing facilities that resulted in harm to the residents. If your loved one was injured, abused, mistreated or died unexpectedly from neglect while living in a nursing facility in Massachusetts, your family has legal rights. We urge you to contact the Cambridge nursing home abuse & neglect lawyers at Nursing Home Law Center (800-926-7565) today to schedule a free, no-obligation case evaluation to discuss a financial compensation lawsuit to ensure you receive monetary recovery for your damages. The city of Cambridge is most renowned for hosting Harvard and the Massachusetts Institute of Technology, which both draw residents from around the nation and help to contribute to the city’s population of over 105,000. With such a large student population, it is easy for the public to overlook the senior population, which accounts for 9.5% of the total with plenty of residents edging ever closer to their own retirement dates. Our Cambridge nursing injury lawyers believe that exposing poor nursing care will help motivate more facilities to make the needed investments in staffing, training and other resources required to improve patient care. The following list of nursing homes have received the lowest ratings by Medicare and we compiled the information using Medicare’s nursing home compare tool. Since there are so many facilities in the area, we’ve focused only on the worst. You can see facilities not listed rate by visiting https://www.medicare.gov/nursinghomecompare. Primary concerns: Despite an excellent staff quality rating, this facility is currently plagued by numerous health inspection violations and received the lowest quality measures rating possible. Primary concerns: While receiving mediocre quality measures and staff scores, this facility excelled at accumulating health inspection deficiencies, making it one to avoid. Primary concerns: Like the others on our list so far, this nursing center has received an unacceptable health inspection score. Residents at facilities with poor health records may be exposed to disease and infections, be subject to poor hygienic measures or be insured due to the presence of environmental hazards. Primary concerns: The Golden Living nursing chain is an example of the diminished quality of care plaguing many homes operated by profit driven chains. These chains tend to reduce staff levels and cut corners when it comes to providing training and resources to staff members that would help them do their jobs. This facility’s mediocre staff could be responsible for its health inspection concerns. Primary concerns: Understaffing concerns, a horrible health record and mediocre quality measures all stand out as reasons why your loved one deserves to be placed somewhere else. Primary concerns: This facility’s mediocre staff is the best thing it has going for it as far as Medicare is concerned. It received only one star for its health inspection history and quality measures meant to ensure that patients’ needs are addressed properly. Primary concerns: Health inspection violations run rampant at this facility, which should be plenty of reason to give pause if it happens to be on your list of possible nursing homes for your loved one. Primary concerns: While this facility could serve to make improvements in all areas, its health inspection history is most concerning. Primary concerns: The majority of this nursing center’s concerns may be the result of serious understaffing. Its staff quality score was only two stars, meaning that it lacks qualified and trained staff members in positions that require specialized skills and qualifications. Primary concerns: Mediocre quality measures, an average staff and a horrible health inspection history are plenty of reason to search somewhere else if you need to place your loved one into a nursing center. Primary concerns: Severely lacking quality measures and numerous health violations are what raise the largest red flags here. Primary concerns: While the quality measures score for this facility was above average, its health inspection history was so poor it was enough to drop the home’s overall rating to a single star. Primary concerns: This facility is plagued with a poor health inspection history and marked improvements need to be made before it can pass as a viable option for those you care about. Our Cambridge nursing injury lawyers help countless clients determine whether they are right to suspect their loved ones are being mistreated. It almost always starts with a sudden and unexplained change in their loved ones’ behavior or a hospitalization that occurs with an explanation that makes little to no sense in your mind. We always advise to look into any issue simply because it is better to eliminate all doubt than to allow your loved one to continue being victimized. Nursing Home Law Center LLC has helped thousands of clients across the nation identify nursing home abuse and respond in the most effective manner possible. We can help remove your loved one from an abusive or neglectful environment while seeking accountability from the nursing center that is responsible for mistreating him or her. Contact us today to arrange a risk free consultation with one of our award winning Cambridge nursing home abuse and neglect attorneys to learn more about how we can help you investigate your claim and secure the compensation your loved one is entitled to for any expenses and pain and suffering which has resulted from abuse, neglect or negligent treatment. If we are unable to secure compensation on your behalf, you are assured that our services will be free of charge.